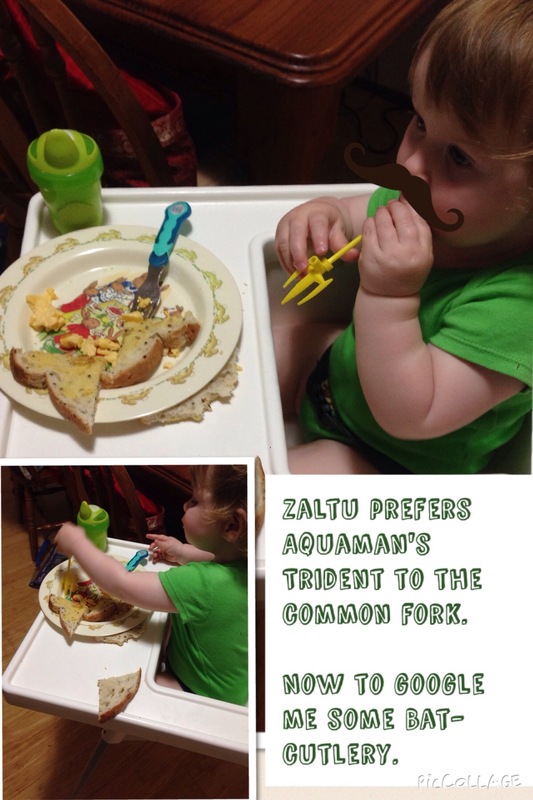 This entry was posted in Evil Genius Parent Award and tagged Aquaman, cutlery, egpaward, Zaltu. Bookmark the permalink. When she gets a bit older you can get her Light Saber chopsticks. Unequivocally voted best Christmas present 2013. 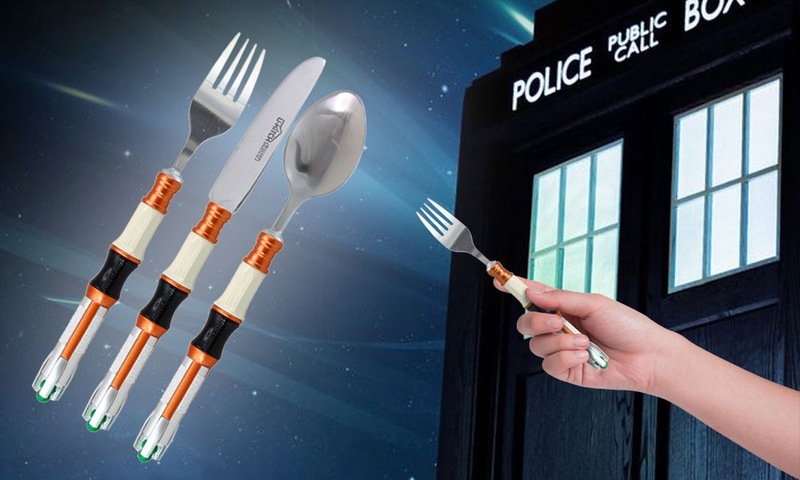 Maybe I will try for the sonic screwdriver cutlery this year. Thanks for the tip! Lightsaber chopsticks? Awesome! I know some sinister and nefarious okder boys who will want that! To The Google!! They come in various colours too. Had a bit of a fight over who got Yoda (green). Bought them in a store in Japan, but pretty sure I’ve seen them online too. OMG! Those light up! 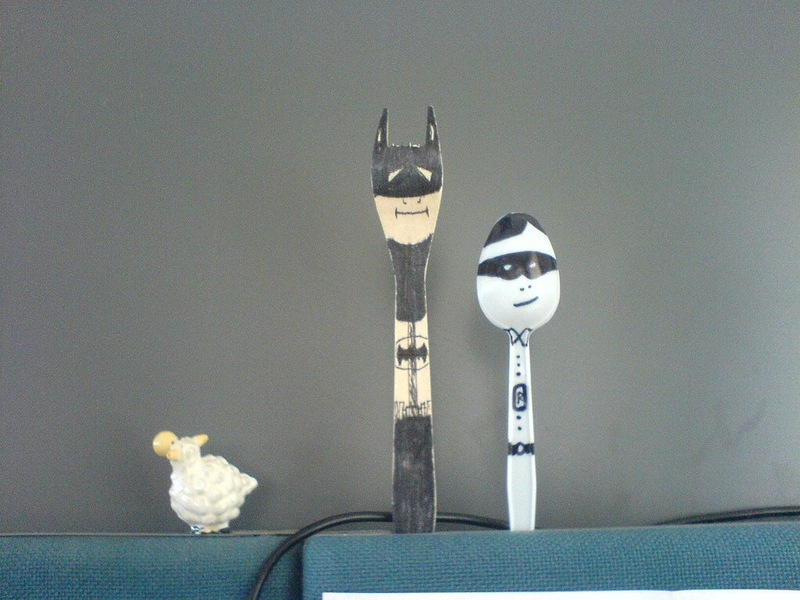 Our looks exactly the same but are just solid plastic. I think we need to upgrade.